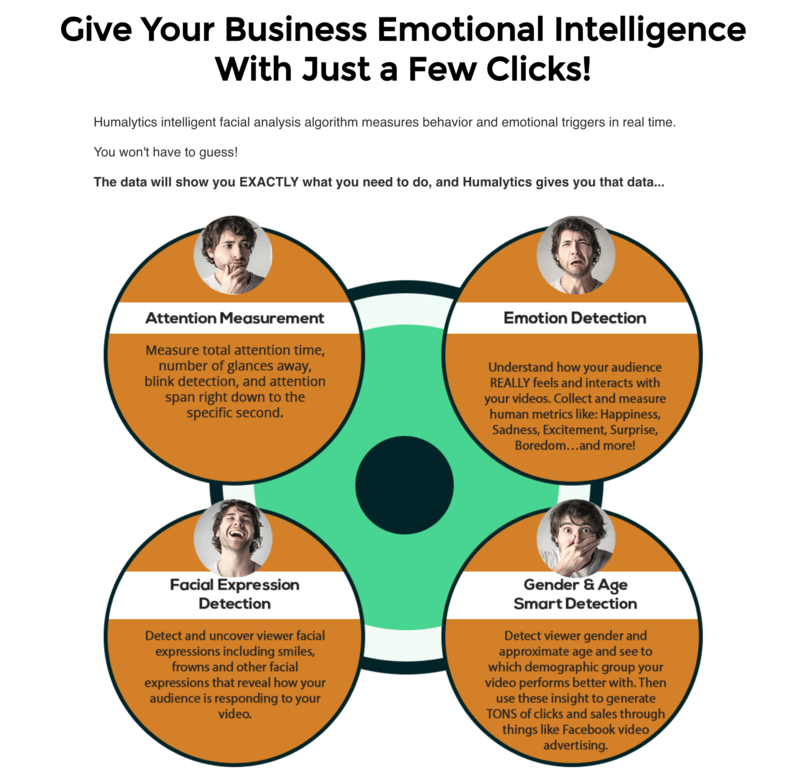 Facial Analysis w/ Emotional Recognition intelligence software reads your viewer’s eye movements and facial expressions and reveals how your prospects respond to every marketing video, sales pitch or product you launch…making sure it’s a winner — before you waste time and money on it! Uncover buyer objections & stop profit leaks to increase conversions – See why they convert, or not. Identify hot trends and remove roadblocks to boost sales — faster and easier than ever! (Instantly uncover where you’re losing business and claw it back with covertly-obtained intelligence).